From the Ponder Couch: The Worn: Scrooge's Worry Room! This is the first in (hopefully) a series of articles I plan to write about things that have been worn, broken-in, and loved into something much better than the original items. I am fascinated by this concept. So much so that I wrote a song about it (see the above video). That song is the theme song for this (probably) ongoing series of articles. For this first "The Worn" article I'm going to focus on the first time I remember noticing the concept of things wearing down over time. 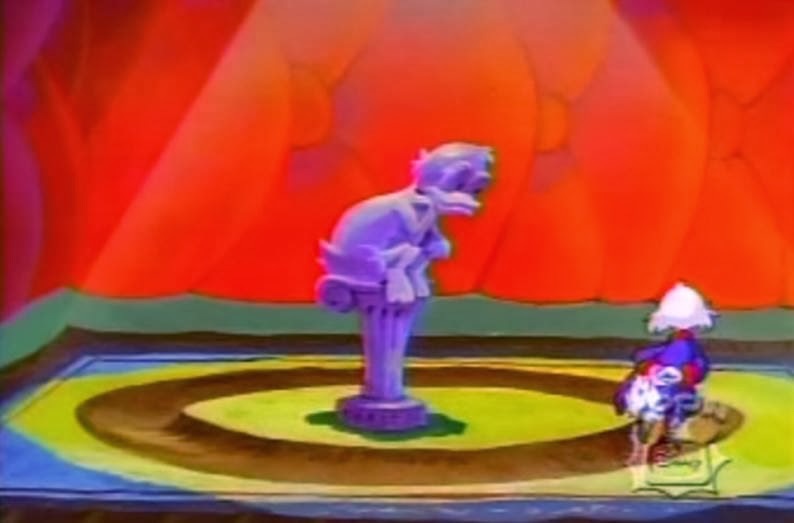 Scrooge McDuck's Worry Room! 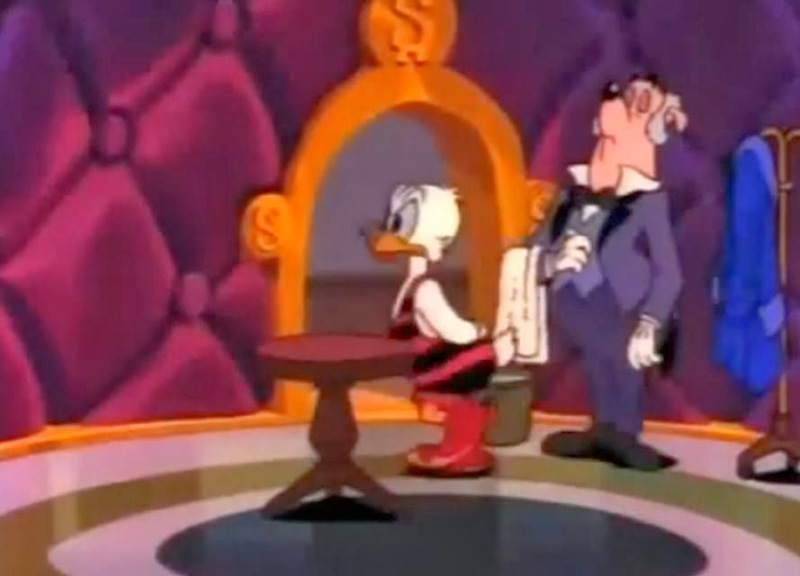 Whenever Scrooge got worried about something and needed to think he would go into his worry/thinking room and walk in a circle, wearing a groove in the floor. I wanted one of these! I went so far as to try to walk around in a circle in my basement to try to start my own rut. I gave up soon after. This idea has stuck with me since I first saw it on DuckTales all those years ago. 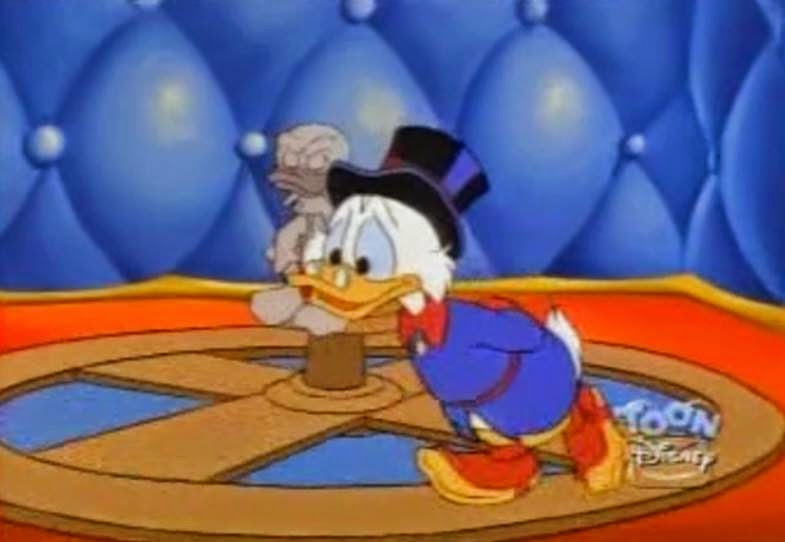 On another episode Scrooge had a Lazy Susan Turntable thing he walked on in his worry room. I liked this idea too, but I prefer the idea of doing something so often it changes the environment you do it in. This was the beginning of my fascination! In elementary through middle school we had neighbors who would walk through our backyard every morning on their way to school. They stuck mostly to the same path. By the time we moved into that house there was already a path worn where they walked. This path reminded me of Scrooge's worry room. Now that the new DuckTales is coming out soon (I really enjoyed the first episode!) I decided to start reading through the collections of Scrooge McDuck comics that are in the public library. They have pictures of his worry room too! I guess the second picture isn't the Worry Room, but it's the same concept.